-Suitable For Advanced Foilers, accelerate your learning for all the flying transitions you want to learn then transfer your new skills to the Model F wing. -Increased rider safety, designed with no sharp edges this wing inspires confidence in case the worst thing happens. Sometimes you just don’t know what you need until you try it. Everybody loves the feeling of achievement and success, it’s not so much about reaching the summit of the mountain but making the small steps needed along the way. When asking riders about their reluctance to foil the answer is always the same – it’s too dangerous and too difficult, well we have news for you – the Shinn Model P is about to change all that. Imagine making flying runs during your first hour on the water with a foil – well we’ve got the gear that will get everybody hooked. A wing that not only starts early but is also highly resistant to stalling allowing first timers to ride at a speed they’re comfortable with. A wing that has such a predictable and stable lift pattern that even first-timers can control their board as soon as it starts to fly. A wing so pitch-stable that over-foiling is quickly a thing of the past allowing you to ride with confidence and focus on learning – not just surviving (and having no sharp edges certainly doesn’t detract from this feeling either!). An absolute gift to beginning to foil that no rider should be forced to learn without. And you know what’s even better? It’s a wing that you won’t grow out of either…. all of the benefits for the learner foiler are duplicated for the experienced rider looking to push their transitions further. Massively reduce the time needed to master those tricky transitions and perfect your fancy footwork at comfortable velocity before stepping back onto your freeride rig for full speed foiling turns perfectly executed. 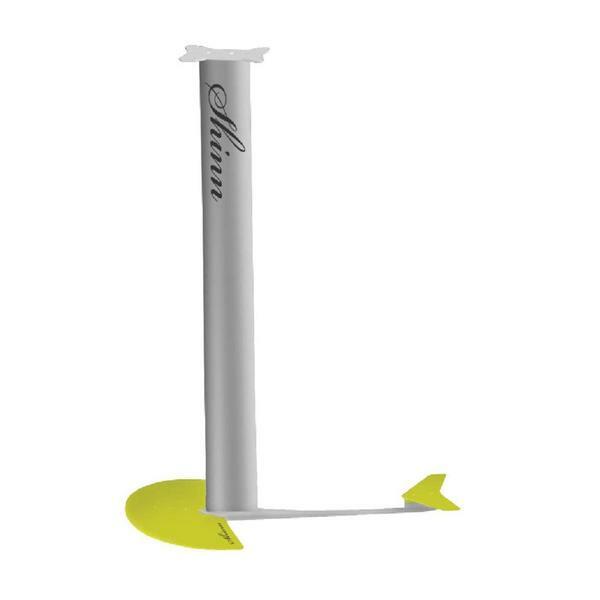 For the watermen and waterwomen amongst us, this combination of low-speed lift, high stall tolerance and easy pitch control also make it the ideal cross-over wing for SUPfoil surfing or downwind foiling missions. Learn, Progress or SUP, this is the foil you didn’t know you needed (till now! ).